FIRST CHOICE PROPERTY, LLC proudly serves the Lake Havasu City area and provides professional, quality service for all your Real Estate needs. We are a full service company providing Real Estate, New Construction, Land, Vacation Rentals and Long Term Property Management. We are a member of the Regional MLS and can provide information on property located throughout Mohave County. 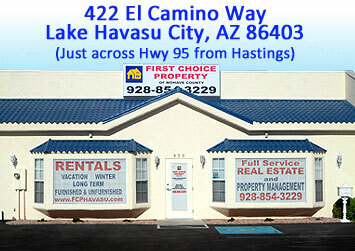 We are long time residents of Lake Havasu City and are knowledgeable of the community and surrounding area. We operate a fun and open office that always makes our clients feel welcome and we hope you will stop by and say hello when you are in town. If it is your first visit, be sure to stop by and get a free City Map or ask a question. We want your experience in Lake Havasu City to be an enjoyable one, because we want you to come back over and over again! Karen is married and has 11 children, 29 grandchildren and 5 great-grandchildren! She was born and raised in Southern California but had spent years coming to Lake Havasu boating and water skiing before moving here full time in 1998. 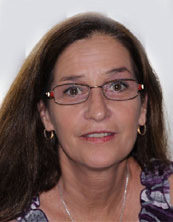 Karen has worked in the real Estate Industry since 1967. 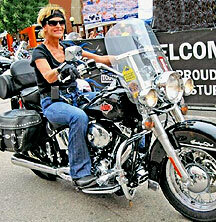 She holds a Broker's License in Arizona, California and Montana. She holds the designation of Certified Residential Broker (CRB) based on her years of experience and education. She holds a Certificate in Mortgage Banking from Cal State San Bernardino and was a Certified Escrow Officer in California for over 20 years. Karen's repeat clients have made her referral base the best source of new business and she prides herself on exceptional customer service. When she is not spending time with her family, her very favorite thing to do is to take a long ride on one of her motorcycles. 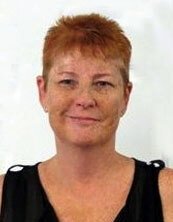 Associate Broker / GHI Jan is a 23 year resident of Lake Havasu and loves living the Havasu lifestyle! 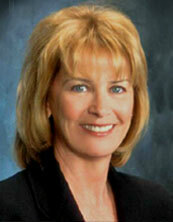 She has been selling Real Estate in Lake Havasu since 1994 and earned her Brokers License in 1997. Over the years Jan has sold over 1,000 lots and also represents her husband, Ben Thomas, a custom home builder. Ben has built about 85 homes in Lake Havasu. Together they have raised both their boys here and have enjoyed all the activities that Lake Havasu and Arizona have to offer. Realtor Sharon is one of the Real Estate Market's most qualified professionals, offering clients and experienced, educated perspective on their real estate goals. Having over 20 years of real estate experience in Mohave County, including 10 years of management experience within a large scale development. 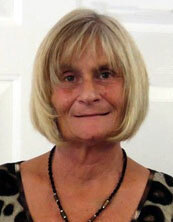 Sharon is fully prepared to provide her clients with expert guidance and advice. With customer service being her ultimate priority, Sharon makes it a point to remain apprised of current real estate market trends and conditions. This dedication results in accurate,comprehensive information intended to assist clients with making the important decisions associated with selling or purchasing real estate. 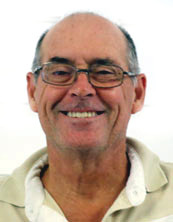 Realtor / Contractor Nick is a 27 year resident of Lake Havasu and has been a Contractor for 24 years. Nick is a Realtor and Owner of Select Construction. His company has framed and built over 500 homes in Lake Havasu and the surrounding area. Superior Customer Service with extensive knowledge of construction and hands on management make home building with Select Construction a rewarding experience. Let Nick design and build a custom home on your lot for you. Office Manager / Accounting Nadine was born and raised in Southern California. She moved to Lake Havasu in 1994. She and her husband have 4 children, 8 grandchildren and 1 great-grandchild. Nadine spent most of her working years as a Bookkeeper and had semi-retired when we made her come to work at our office. She quickly shaped us all up and has been managing the office since. She runs a tight ship and handles all of our Accounting, Winter/Vacation Rental Reservation paperwork and scheduling. Receptionist / Customer Service Teresa, AKA TeriAnne, was born and raised in Central California. She moved to Lake Havasu in 1998, when she met and married her husband. She has 1 granddaughter that she enjoys spending quality time with. TeriAnne is the first friendly voice you will hear when you call our office. When she's not answering phones and helping our valued customers, she can be found doing her favorite thing and that is riding her motorcycle.